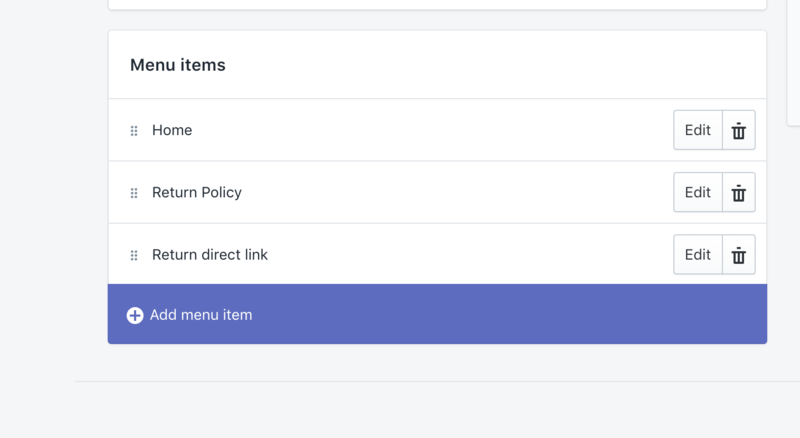 This guide takes you through the process of creating a direct link to your returns portal in your site menu. Please see below. Go to online store - Navigation - Main menu - Add menu item - Name (What you would like) Link the returns portal URL - save. 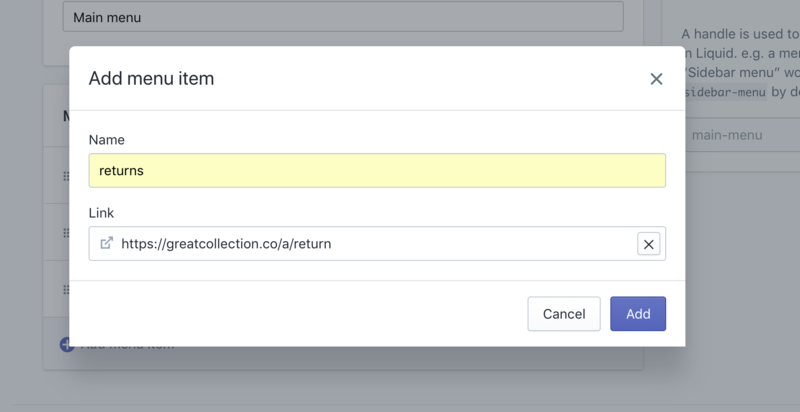 Your returns portal should now appear in your site menu. If this isn' clear please don't hesitate to get in touch with our team.